Water Soluble. Single sided-fusible. Semi transparent for easy tracing. Inkjet printable. 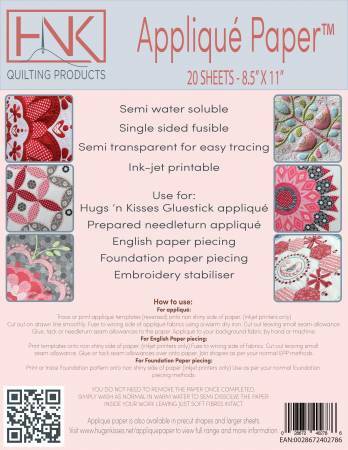 Use for: Gluestick applique, needleturn applique, English paper piecing, foundation paper piecing and as a temporary stabilizer.